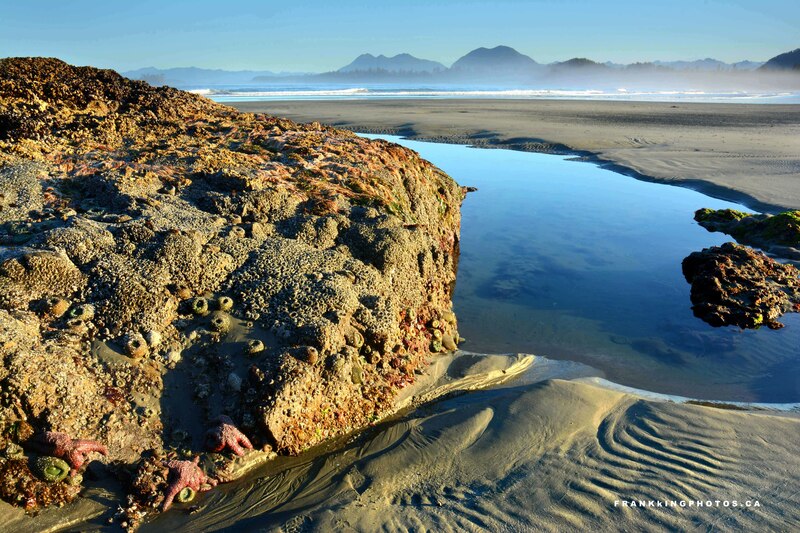 The west coast of Canada’s Vancouver Island is a glorious place of eagles, crashing surf, star fish, fog and rainforest. Cox Bay, near the tourist town of Tofino is truly magical at sunrise. It would have been hard to make a bad picture here.